Travel north on the N7 towards Springbok and turn left approximately 12 km past Garies on the Klipfontein Road. Do not tke the first turn off to Hondeklip Bay/Hondeklipbaai. 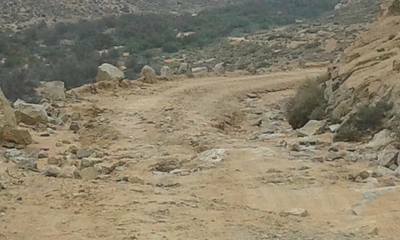 Drive about 27 km on the tar road, and then continue carefully on the gravel road for 55 km until you reach the town. You will find directions to the Honnehokke Resort Self catering Chalets. (Hondehok Chalets) NB: Refuel at Garies before diverting to Hondeklipbaai/Hondeklip Bay. 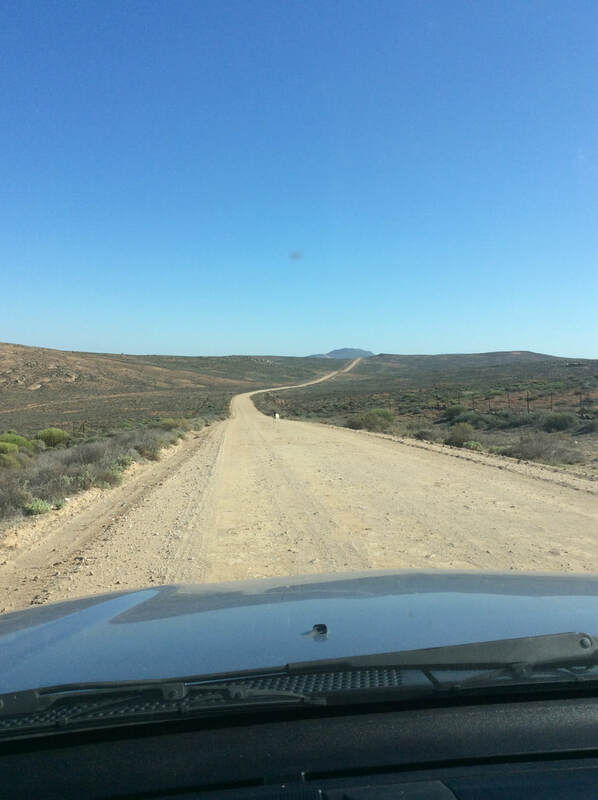 It is advisable NOT to follow your GPS when travelling to Hondeklipbaai/ Hondeklip bay, unless you're feeling adventurous and have lots of time. 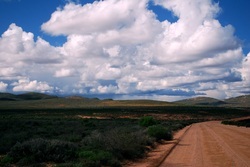 The Wildeperdehoek Pass for e.g. requires 4-wheel drive and good ground clearance. Travel west towards Kleinsee for approximately 35 km and exit left towards Kommagas just before the tar road ends. In Kommagas, keep right at the split in the road, marked by a tavern/liquor store in the middle of the fork. 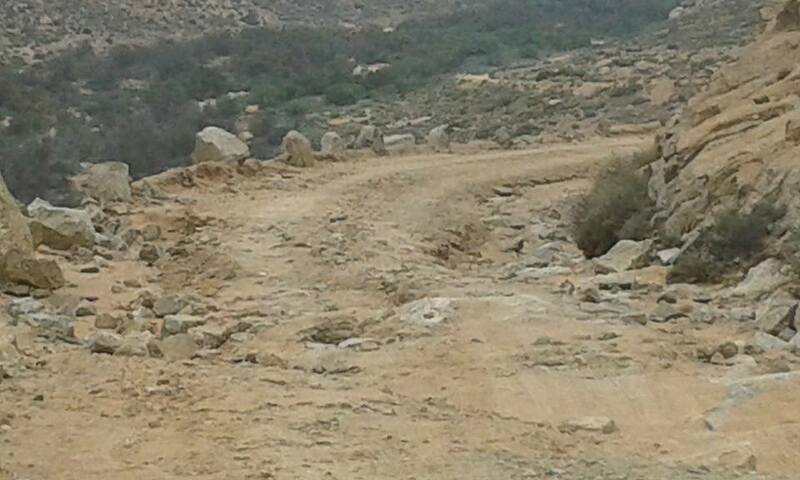 Continue along the gravel road for 35 km until you reach a T-junction towards Kleinsee and Koiingnaas. Turn left towards Koingnaas. Continue for 57 km towards Koiingnaas and follow the gravel road to Hondeklipbaai/ Hondeklip Bay for approximately 20 km. NB: Refuel in Springbok before diverting to Hondeklipbaai and Die Honnehokke Resort Self Catering Chalets. Should you wish to travel on the road between Koiingnaas and Kleinsee, please note that permits are no longer required. Hondeklipbaai/ Hondeklip Bay is surrounded by the cold Atlantic ocean on one side and the hot Namaqua coastline on the other. When days get hot, the sea breeze acts as a natural air-conditioner for townfolk. Hondeklipbaai’s weather conditions are mild to warm with a constant sea breeze to take the edge off the heat. Nights can become very cold and it’s advisable to bring a warm jacket.